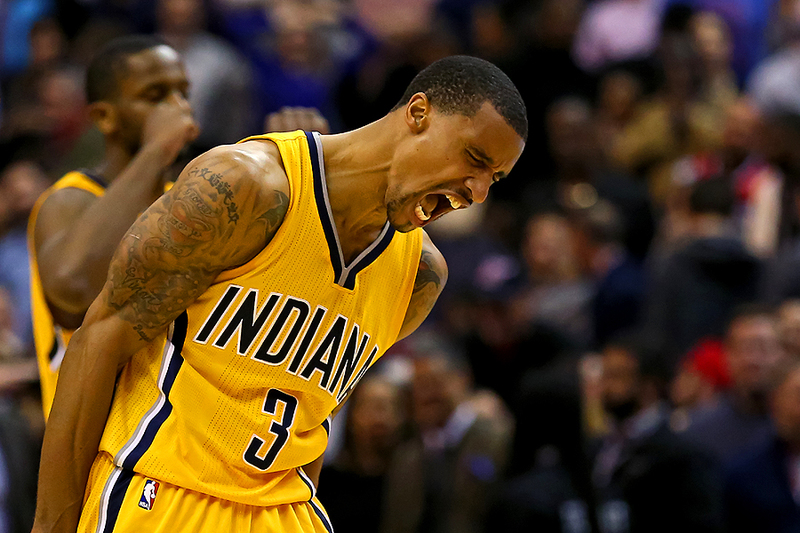 "George Hill #3 of the Indiana Pacers reacts after defeating the Washington Wizards at Verizon Center on March 25, 2015 in Washington, DC." With all eyes on the NCAA March Madness tournaments, one would think no one is paying attention to the professionals. Emotions are running just as high in the NBA with teams pushing to make the playoffs. The other night in Washington, the Wizards let a game slip away from them as George Hill and the Indiana Pacers came from behind to help ruin chances the Wizards had to make the playoffs. Some late heroics by George, scoring a layup with only second remaining, helped the Pacers show they won't end their season on a low point.